Now called the Smithfield Tavern. Was closed for 'extensive refurb' but looks much the same inside, with more sofas and no pool table. Now doing jazz/blues on Thursdays and cabaret/burlesque on Fridays (not sure how that works in a City pub). They seem to be experimenting with food but at the pub grub end rather than gastro stuff. Staff are friendly though the music can get a bit much, especially mid-week when it's virtually empty at lunchtime. Overall, good effort but looking forward to seeing it go from strength to strength. As this place is spitting distance from our office, we often end up there at lunch for a quick drink and it's perfectly fine. The Irish guy behind the bar is lovely and the fish finger sandwiches make a childishly excellent change to Pret's offerings. The pool table is popular but it has a strange, dark atmosphere - maybe that's just because it's quiet when we go, but it does seem to lack warmth. Ideal if you want somewhere relaxed to read your paper and enjoy your pint at lunchtime though. Best run pub in London. Quiet early in the week but busy on football or quiz nights. Complimentary food usually provided when there's an event on. Guinness is kept perfectly by Paddy and the team, family run, you'll become a local in 10 minutes if you want to. Pool table and new big screen and you'll always get served quickly if you smile! 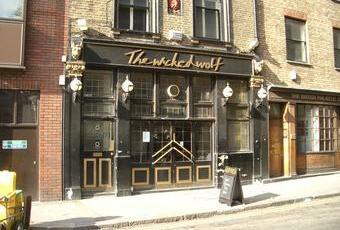 Great handy boozer mid way between Barbican and Farringdon tube stations. Livelier crowd later on in the day/evening and exquisitely uncrowded straight after work so you can relax easy. Bar staff are good, presentable and well meaning and any latin words are a big help. Landlord's Irish and has the charm of a tray full of bacon butties at a jewish bolliemic society fastening evening. Nah, he's alright really and runs a good boozer.